Let’s face it: property owners can be a pain in the skin sometimes. A common behavior with all landlords is that they tend to delay repairs, and yet they are the same people who will be busy asking for lease on time. 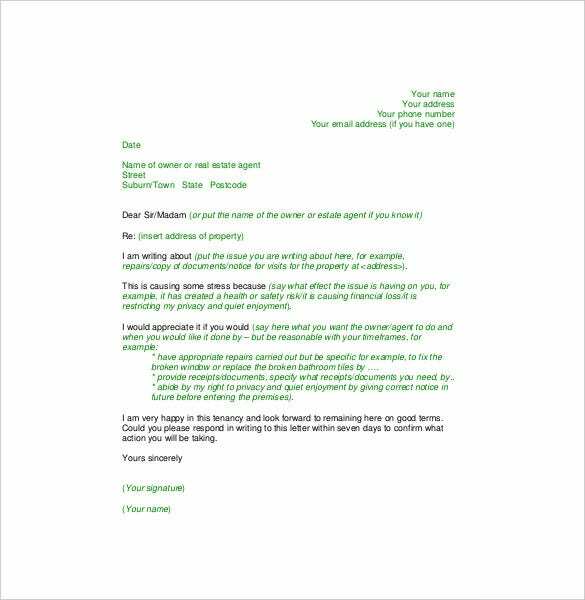 The best way to get the landlords working around your problems is to send them tenant complaint letter. 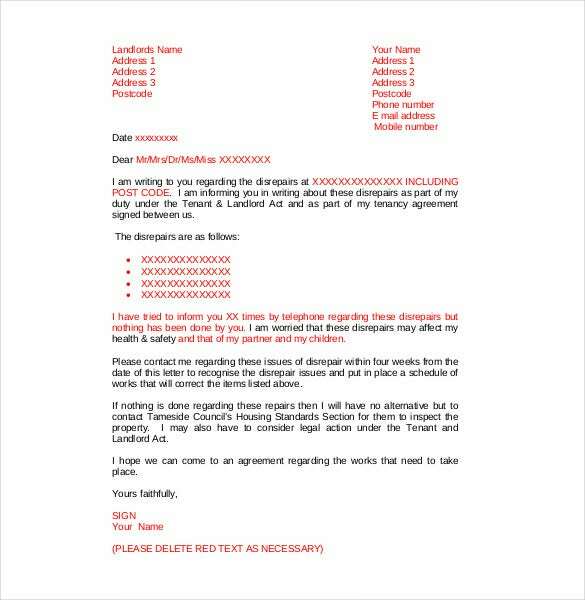 The content of the complaint letter to tenant aren’t type specific. 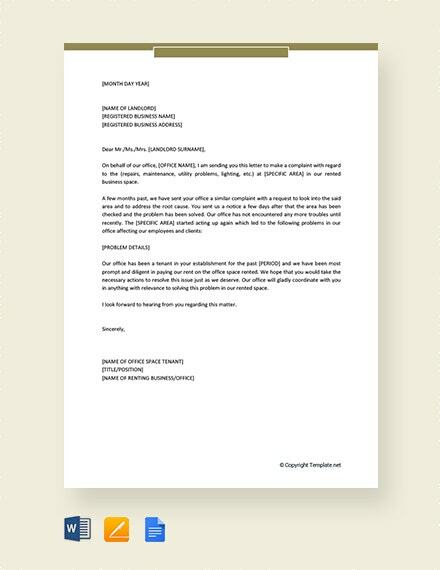 You can also see Restaurant and Hotel Complaint Template. It means the letter can be formal or informal. 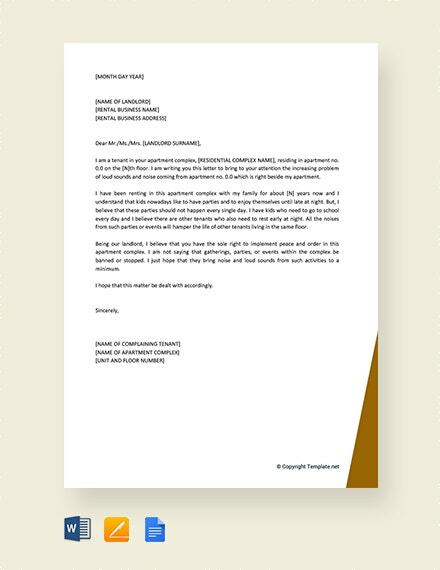 Our collection of PDF and Word templates can give you a clear picture of what the best complaint letter should read like. 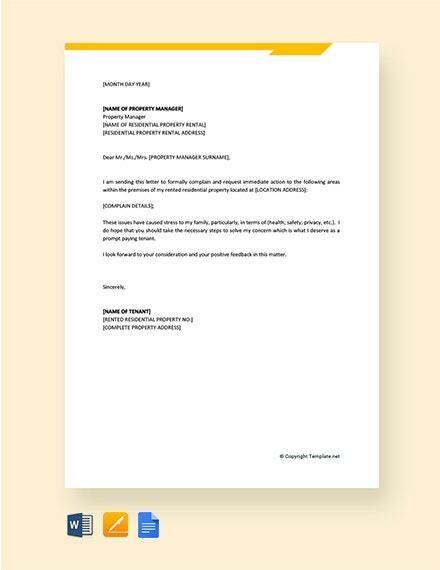 Download the template for free, and use it as a guide to writing your own letter. 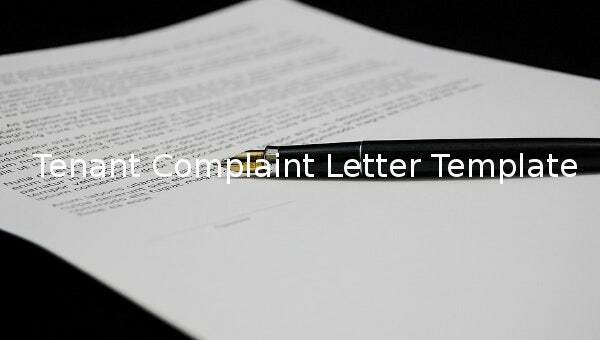 You may also visit Complaint Letter Templates. 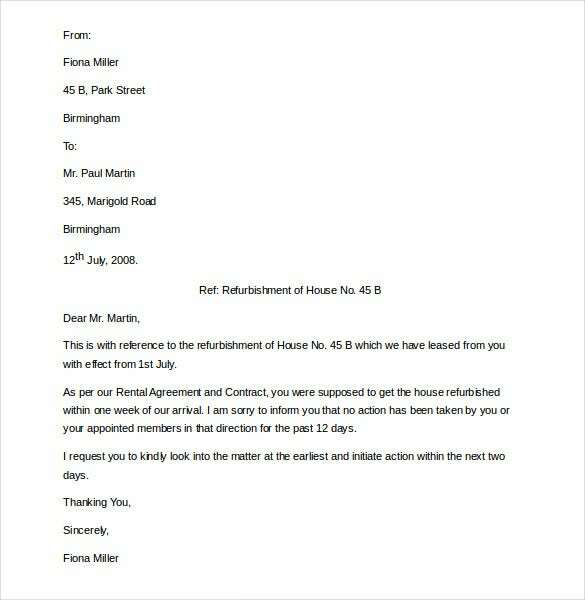 sampleletters.in | If as a tenant you want to lodge complaint about rental house refurbishment, this template is meant for you. You can download the Word file format template for free here. 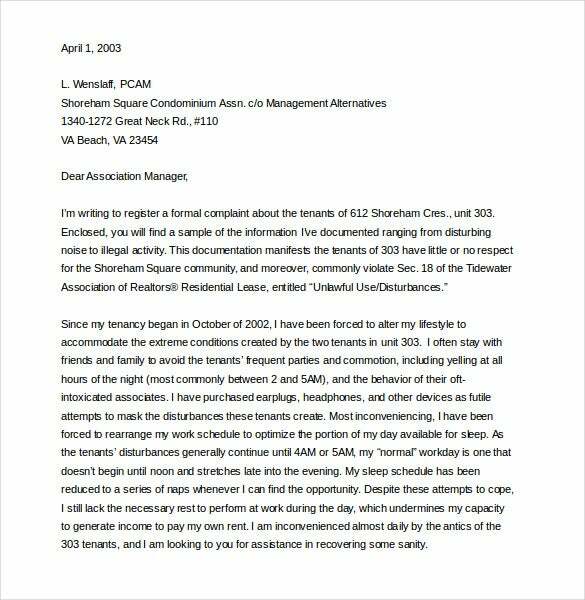 atulsa.com | If you want to make a complaint to a fellow tenant about loud music you need a carefully worded letter to avoid escalating the matter. Download this Word format template to help through. 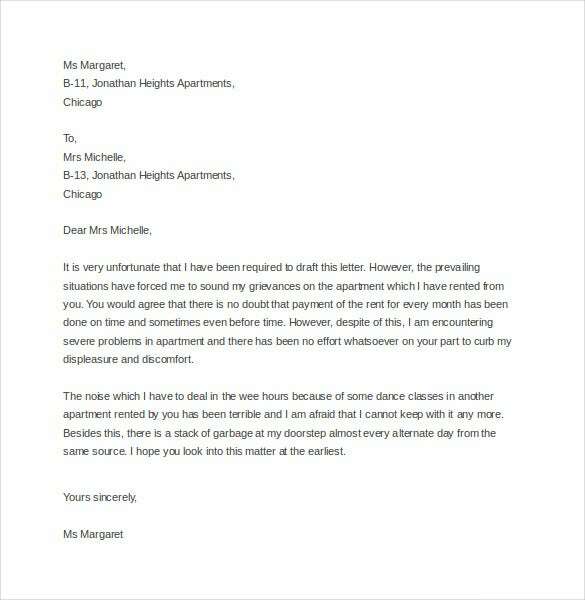 sampleletters.org.uk | In order to draft a complaint letter to the landlord complaining about a disrepair apartment, you can use this sample as a guide. It is available for download in Word file format. 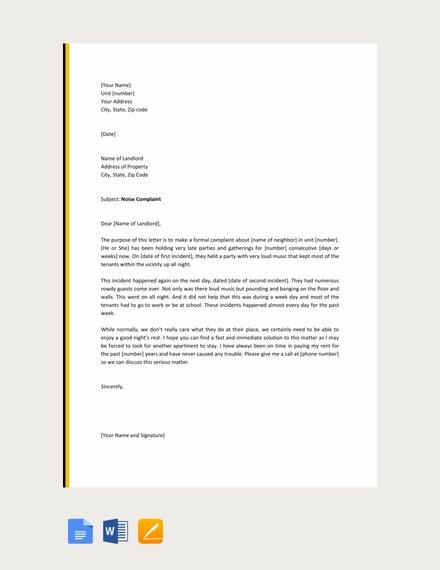 sampleletters.org.uk | If you need to show appreciation to the landlord for one reason or the other, you can use our well worded letter template. It is available for free here in PDF format. 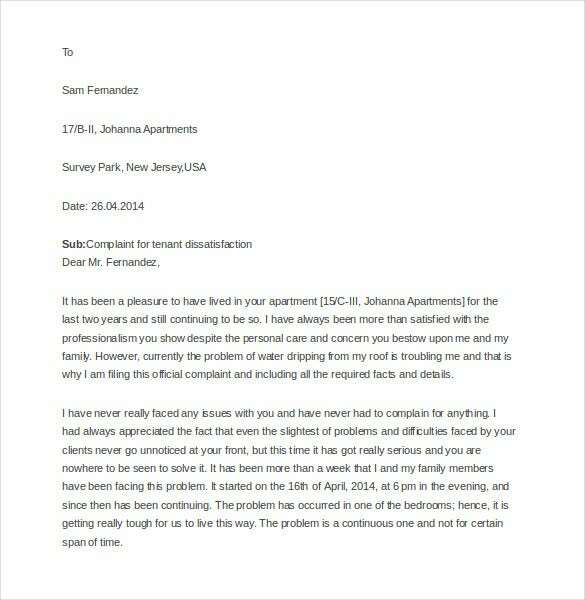 sampleletterz.com | This letter template can be used to make a complaint about water problems in an apartment. Instead of verbally complaining all the time, use this PDF format template to make it in writing. tameside.gov.uk | If you are tired of always complaining on phone about a state of disrepair of an apartment, you can download this Word format template to complain in writing specifying the points. 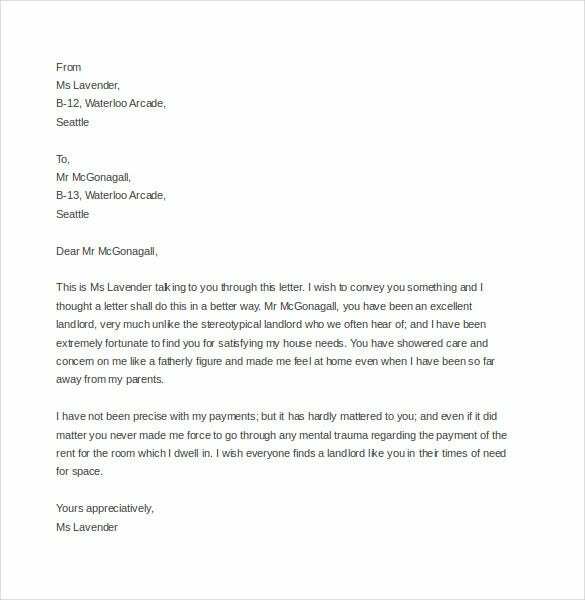 commerce.wa.gov.au | In order to make a well worded complaint to the landlord you need this guide to make it professional and well toned. The Word format template is available for free download from this site. 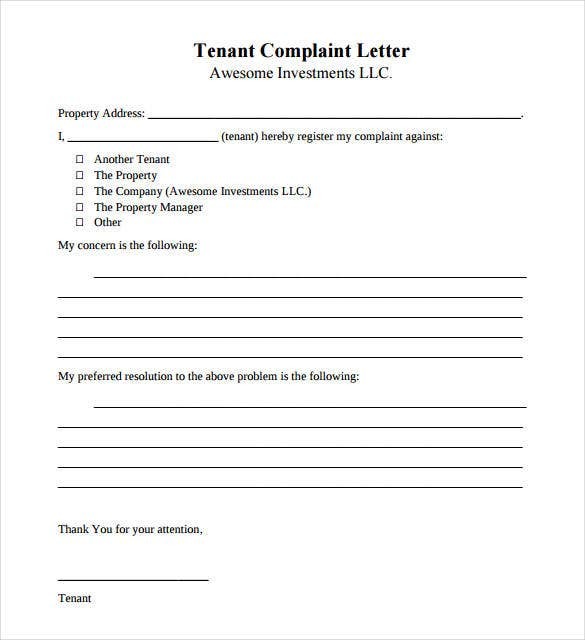 justinhankins.com | In order to make a well detailed letter of complaint about another tenant to the property owner, you need this template letter. Download it here in Word format free of charge.